Hey everyone! 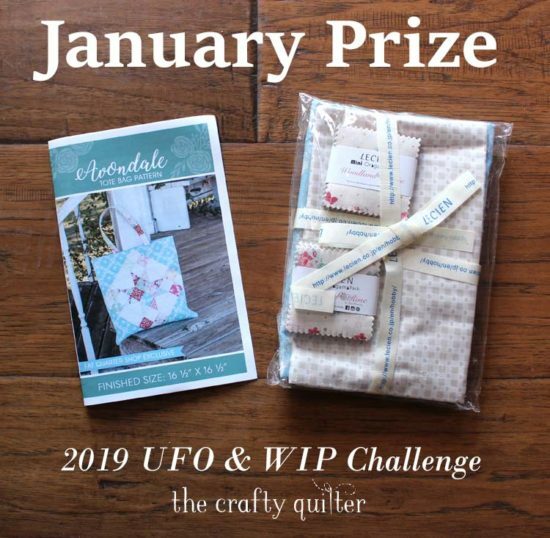 Today is the start of the January UFO & WIP Challenge link up! I have a great prize to give away to one lucky winner: It’s an Avondale Tote Bag Pattern & Fabric Kit from Fat Quarter Shop. This kit includes fabric from Lecien (Meadowland Rose) and it’s simply sweet! You have one week before the link up closes, so there’s still time to get your project finished. I was able to finish my Woven Heart Table Runner that I started two years ago. Believe me, if I didn’t have this challenge going right now, I would not have gotten this finished. At least I’m doing a good job of motivating myself! I put my leftover scraps to good use for the backing. 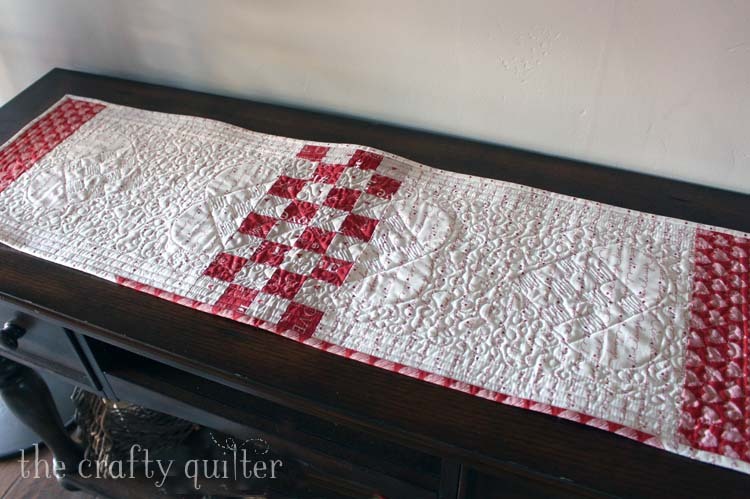 I love a reversible table runner (and using up scraps)! The backside doesn’t scream Valentine’s Day, so I can use it for lots of occasions. How did you do? I hope you have at least one finished project to share. It’s nice to cheer each other on – a little motivation is sometimes all it takes. This is meant to be fun, with no guilt added. Even if you just made a list of your unfinished projects, that’s a start! Please visit my Frequently Asked Questions page if you need help adding your link or if you want more information about this challenge. The link-up will be open until February 2, 2019, at midnight, PST. This month’s giveaway is open to USA or Canada only, however, anyone can join the link-up. If a winner is chosen that is international, then another number will be picked until it meets the criteria. Winner will be drawn at random on February 3, 2019. I did not finish my project for this month. What number is going to be for February? Your table runner is great. How did you quilt it? Thank you Julie for helping us keep on track this year. My month wasn’t as successful as I had planned, but life does get in the way occasionally. Thanks for the push to post something to finish! I’ve enjoyed reading about the other finishes, but many of the links just go back to your blog post? Or am I doing something wrong? I really like your table runner!! Hope to have another finish next month…actually finishing off a few more old projects! New Year’s resolutions for the umpteenth time LOL. Lots of love with the table runner. 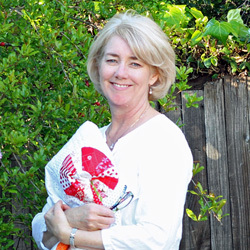 Your challenge and our April Quilt Show spurred me on. I’m excited to keep on going. Hi Julie, I uploaded my picture but it says thumbnail not available. Should I try it again? Will submitted items be voted on? Or will the winner be chosen randomly? Lastly, the biggest UFO and the one I’m most proud of is getting my sewing room cleaned and organized. (Think 16 storage totes of fabric)This has been a UFO since last spring and I am so happy to finally have it done. If it is a viable entry, please let me know and I will post a picture of it. Thanks for spear heading this for us ! 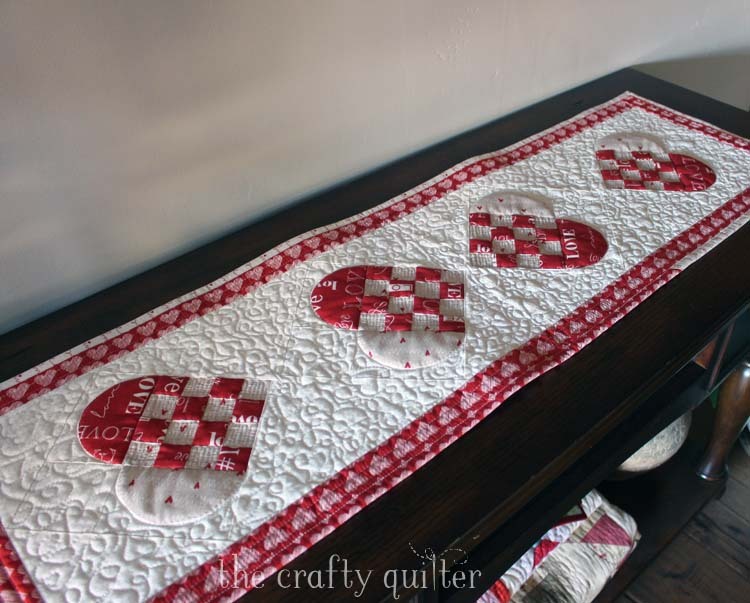 Hello Julie, Your Woven Heart Table Runner turned out so beautifully! 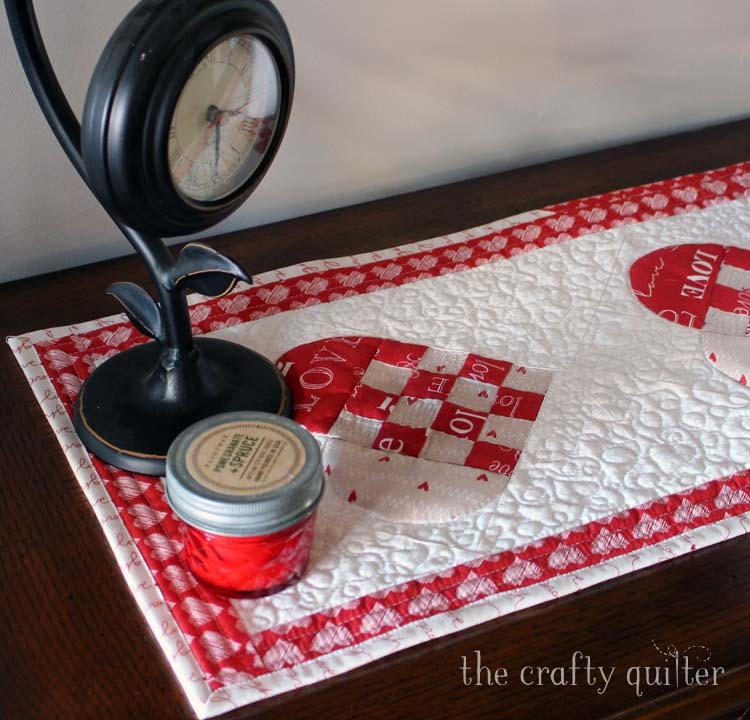 The free motion quilting design you did is so adorable and just adds that extra pizzazz. Plus, using extra scraps like you did on the back and making it a two sided Table Runner was an excellent idea, also. I still am struggling with my pillow project a tad bit, but will be posting it (hopefully) by tonight. 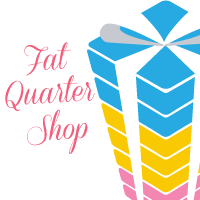 Thank you for sharing your fantastic project and for the awesome Fat Quarter Tote Bag Kit as a prize! 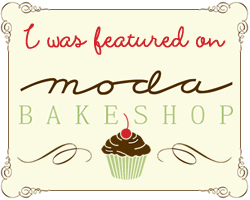 I also look forward to visiting several new blogs and seeing their projects. Have a fantastic day! I know you didn’t ask for a commentary to go with the pics but I wanted to say thanks for the push. I started this quilt during the news coverge of the Civil War– ok it was Desert Storm, so I am very pleased with myself for finally finishing it. If I don’t get anything else done this year, at least I have this. Seriously going to try for another one next month. So glad there’s many others participating too. please eliminate my #16 entry. Picture didn’t post so I had to enter a second time. I can’t find a way to delete it myself. I love your table runner, both sides. I have so many things to finish, it’s frightening! 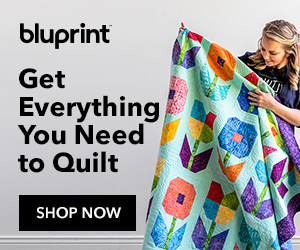 I really love your runner – especially the quilting! Thank you for hosting this UFO challenge! I had the wedding gift quilt on my design wall for almost a year. So happy to have it finished and delivered! 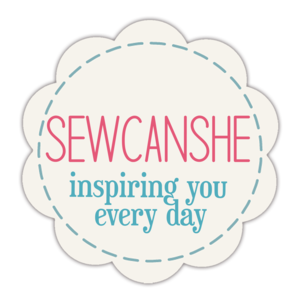 I am currently focused on garment sewing. Does that qualify? I might not make the deadline, but I am working a long with you Julie! 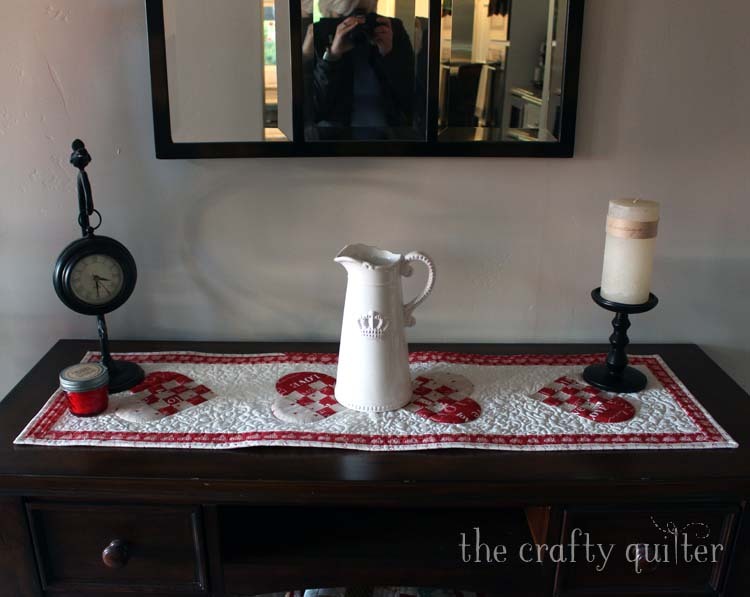 Love your table runner. Thanks for the tips for uploading a link! I think I did it right! I’m loving all the ‘heart’ projects right now! Maybe because I have a valentine birthday?